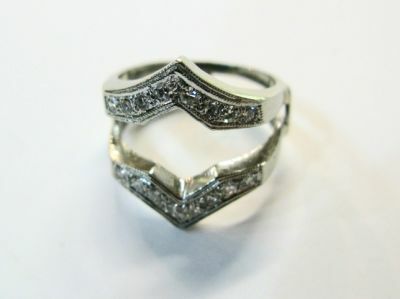 A distinctive 14kt white gold ring jacket with 16 bead set single cut diamonds, est. 0.37ct. (clarity: VS & I-J colour). 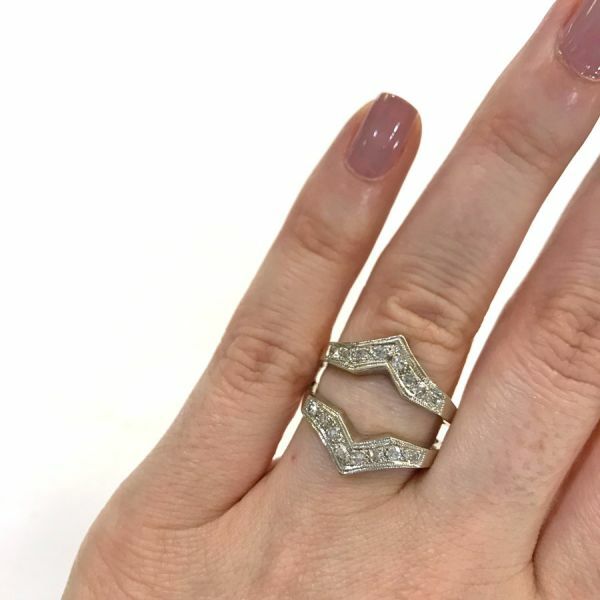 It could also be worn as a ring.